It’s been a big week of hardware product releases for Apple, as the company announced today that it was releasing the latest version of AirPods. Earlier this week, Apple introduced the 10.5-inch iPad Air and 5th generation iPad mini on Monday and then updated its iMac and iMac Pro models on Tuesday. Apple also slashed prices for high end SSD upgrades for the Mac mini, MacBook Air and MacBook Pro. The new AirPods, as we expected, offers greater performance and Hey Siri options. 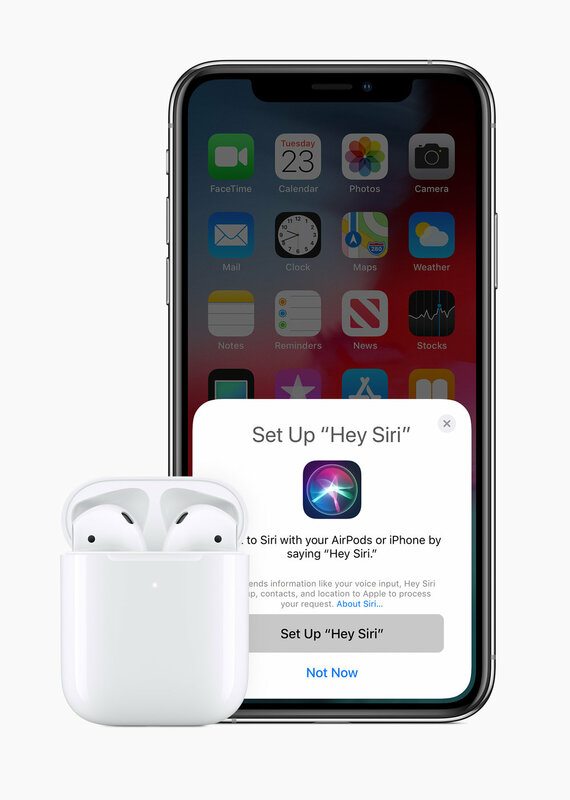 The second generation AirPods comes with a new powerful H1 chip designed for headphones to improve performance, speed, 50 percent more talk time and a hands-free "Hey Siri” option. The new AirPods come with a standard charging case or a new Wireless Charging Case option. Both cases offer 24 hours of total listening time. The Wireless Charging Case has an LED light indicator on the front of the case to show the charge status. The Hey Siri options enables you to change songs, adjust the volume, make calls or get directions by just using the “Hey Siri” prompt. AirPods are available for purchase on Apple’s website at $159 for the standard charging case option or $199 for the wireless option. The standalone Wireless Charging Case can be purchased for $79. Apple now offers free engraving for AirPods.